Paul Smith was ordained into the Gospel Ministry in 1951. His undergraduate degrees are from Life Pacific College and Azusa Pacific University. He earned a Masters Degree from Chapman University. Paul served on the faculty of Victor Valley College and taught history and political science for over 15 years. Paul enthusiastically assisted his brother, Pastor Chuck Smith of Calvary Chapel, Costa Mesa, CA, in starting the international radio ministry, The Word For Today, which then developed the Calvary Chapel KWVE FM 24 hour, 7 days a week national Christian radio. Pastor Paul also established Mojave Christian Association, MCA, a non-profit corporation during the 70’s. MCA oversaw the Calvary Chapel “House Ministries” in the Victorville area. Many Calvary Chapel pastors grew out of this ministry. Continuing to assist his brother, Paul directed the Calvary Chapel Twin Peaks Bible College and provided leadership for the Calvary Chapel Outreach Fellowship, CCOF. When Pastor Paul became director of the Calvary Chapel Twin Peaks Bible College the MCA was passed on to members of the “House Minstries”. During the late 70’s Calvary Chapel of the High Desert was established under the MCA due to the hunger to have the Spirit move through a local Calvary Chapel. 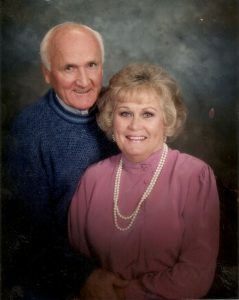 Paul and Ruth returned to the Victorville area. They pastored Calvary Chapel Community Church, Victorville, CA, for 23 years. Paul continues to be sought after and loved as a pastor’s pastor. Paul and his wife, Ruth, have been married since 1948. They have three children, seven grandchildren, and two great-grandchildren. Paul and Ruth live in Southern California’s picturesque high desert in Lucerne Valley. They both continue to energetically respond to teaching invitations both nationally and internationally.